The line "Here was one room; there another" from Virginia Woolf’s Mrs. Dalloway germinated my interest in the spatial science world. This world has given me new perspectives on how the built environment impacts our wellbeing, our health, and our interactions. The GeoDesign program provides unique insight into a rapidly changing world. Coupled with a minor in public health, the GeoDesign curriculum has allowed me to cultivate interests in spatial statistics, epidemiology, precision public health, and population-level outcomes research. Through SSI, I worked on projects ranging from the rehabilitation of a black-necked crane population in the Dashanbao Nature Reserve, to understanding the implications of longitudinal transit development on population density in Los Angeles County. 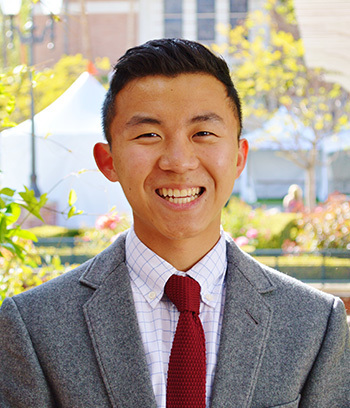 I have also had the opportunity to apply what I have learned into practice through a summer internship with the Southern California Environmental Health Science Center, an internship with the United States Agency for International Development (USAID) GeoCenter’s Mapping for Resilience Program, and a research fellowship at Taipei Medical University through USC Global Fellows. These experiences through SSI and beyond have prepared me for graduate work in epidemiology at Columbia University's Mailman School of Public Health. To me, the B.S. in GeoDesign isn’t just a degree about design, planning, or geography. I've learned to apply analytical thinking at multiple spatial scales to come up with practical and meaningful interventions to make sure people and communities are the healthiest possible.